Volunteers and activists of Medical Institute of the Sumy State University hold a campaign for the World TB Day. Volunteers informed university students about the dangers of this disease and asked about their attitude to smoking during the campaign “Smoking is not fashionable anymore.” Both Ukrainian and international students attended this action. Everybody was able to express his or her opinion on the dangers of smoking and write them on a special poster. After evaluating the results of the quiz, volunteers concluded that most SSU students prefer a healthy lifestyle. Also the volunteers of Student’s Social Service carried out the action in the center of the city. Students of the Medical Institute informed passersby on ways of infection with tuberculosis, the first symptoms, ways of treatment, preventive actions. Besides, they distributed newsletters and recommended to citizens take photofluorography annually to prevent the infection. The employee of the Department of Pathological Anatomy of SSU Medical Institute Mykola Lyndin has received the special grant and represented Ukraine during the internship held at Open Medical Institute (Salzburg, Austria). The seminars were conducted with the support of American Austrian Foundation. 30 young specialists, scientists and doctors from all around the world, including the countries of Europe, Central America and Africa took part in these seminars. During the event there were meetings with foreign colleagues who gave lectures on modern approaches to skin diseases’ diagnostics (Steven Billings), prostate gland (Martin Susani), thyroid gland (Deborah J Chute), mammary gland (J. Jordi Rowe) and others. While careful consideration was given to medical cases, the discussions and making the diagnosis were held. On January 9-15, 2017 the national championship for cross-country skiing was held in the Lviv region at the base of Tysovets. Our students are deserved new rewards. Gold medals were awarded Olexiy Krasovsky, Yulia Krol, Victoria Oleh, as well as bronze medal went to Yulia Krol. All participants of the event stressed that it was one of the most brilliant and fruitful competition in their experience. They had splendid time in Carpathian mountains, and followed a healthy way of life. The most outstanding skier in the history of cross-country skiing was the Norwegian eight-time Olympic champion Bjorn Delhi. In total he won 12 Olympic medals - besides eight gold, awarded also four silver. Among women, the most Olympic gold medals - six, won Russian skier Lyubov Yegorova. According to Round University Ranking Sumy State University made it to TOP-600 world HEIs in the majority of subject areas that correspond to the University’s activity, including the highest positions in Medical Sciences (1st position in Ukraine and 416th position in the world). 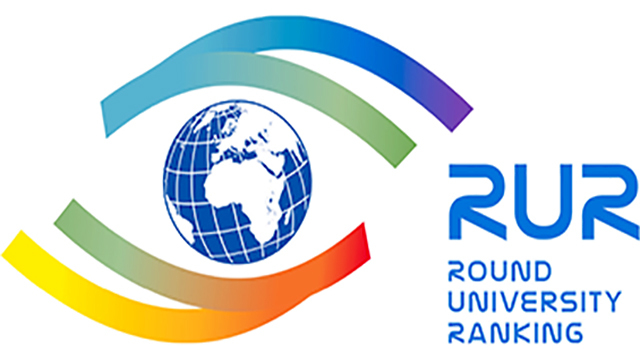 Round University Ranking is completed according to more than 20 indicators taken from the database of an international company Clarivate Analytics (Thomson Reuters). It evaluates teaching, research, international diversity, and financial sustainability of the world’s HEIs. Sumy State University takes the 629th position among the world's universities and enters the TOP-3 best universities in Ukraine. It is the first time that SSU has entered the world’s universities rankings in subject areas with high positions. They are completed by Round University Ranking. These rankings evaluate universities in specific subject areas and that’s why they are so popular among future students, academic and business community. On January 13-15, 2017 a national tournament in archery for prizes of Olympic champion Viktor Rubanin was held in Kharkiv. The event was attended by many sportsmen from all over the country and abroad. There were students of SSU among the 160 participants from Ukraine and Kazakhstan, namely Master of sports international class Polina Rodionova and Alexey Hunbin became the winners of the competition. The art of archery originated in the late Paleolithic or early Mesolithic. The oldest archaeological discoveries associated with archery, date back to the eighth-ninth century BC. Historically, archery was used for hunting and fighting. Australia and South Pacific were the only region where the art of archery was not known until the XIX century. Archery is included in the Summer Olympic Games since 1900.